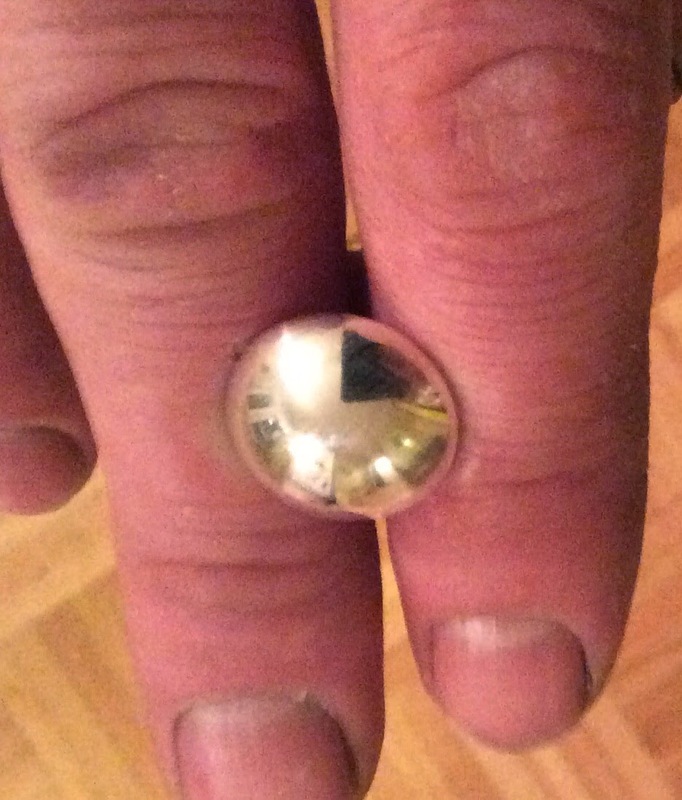 Recently I was asked to make an Enshin "Ring." I had never handled a tool like this so I was not sure what to expect, but now I think I am in love. The enshin "ring" is held between the pointer and middle fingers (most often) and can be used to stroke, wave, tap or even grip the meridian. 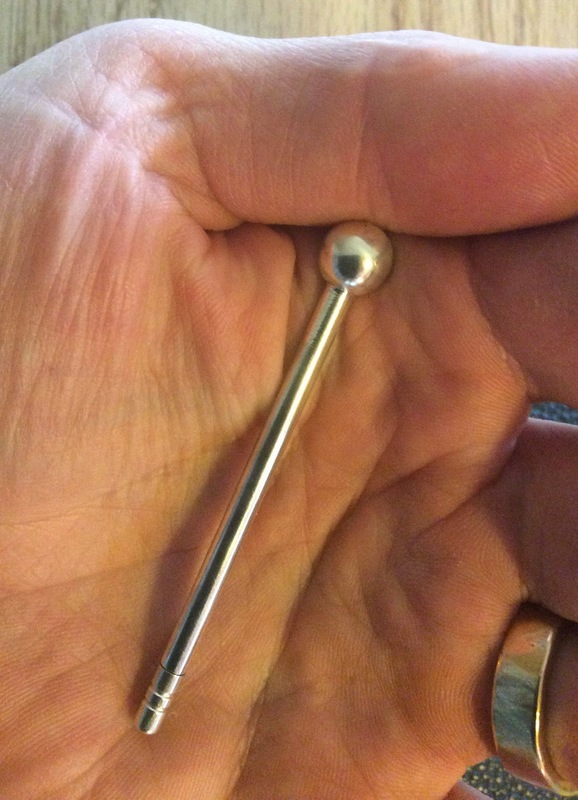 This tool is very different in use than many more standard acupuncture tools because it is a very active/yang tool. Most tools require that you use your left/yin/receptive hand in use, but this one is pure yang, belonging in the right hand and having movement as its key use. I was feeling a bit like I was coming down with a cold the day I finished this tool and used the domed end to rub down the length of my lower leg stomach meridian, followed by tapping the balled end on points along my occipital ridge. Immediately, the fatigue was lifted and the soreness of my throat dissipated and I was able to avoid becoming sick. This tool is wonderful for treating broad lengths of meridian like the portions of the large intestine and stomach meridians distal to the elbows and knees and especially the length of the bladder meridian along the spine and calves. Tapping with the balled end on the occiput and shoulder regions is very effective in dissipating shoulder tension. I believe this tool shines in self treatment techniques such as some of the qi gong self cultivation techniques. One of the reasons for this is that the tool fits so nicely in the hands, it takes no conscious effort to use and becomes a natural extension of the hands. Many times when we treat ourselves, the concentration required to manipulate the tool or insert needles doesn't allow us to be fully receptive to the treatment. This tool has reminded me how important self treatment is, not only for our own health but so that we have an understanding, as practitioners, of what our patients are experiencing. Ever since I have made the neck needle I have been wanting to make an enshin with a teishin inside of it. This is the first prototype and I am quite happy with it. It has a 9 mm ball end and 7 gage shaft for the enshin. This is quite small by enshin standards but is a very useable size especially for pediatric treatments. The teishin itself is 14 gage and very sharp. Because the Enshin has a blunt end as well as the ball end, the teishin makes it a 3 in 1 tool. The next version of this tool will have a classic style teishin inside of it with one blunt and one sharp end. The teishin will be separate from the Enshin and screw end cap. This will result in a 4 in 1 tool that can be safely carried for travel or treatments on the go. Last December I had a client request that I make him some acupuncture needles. This was something I had never done before so I was somewhat apprehensive and worried about liability. 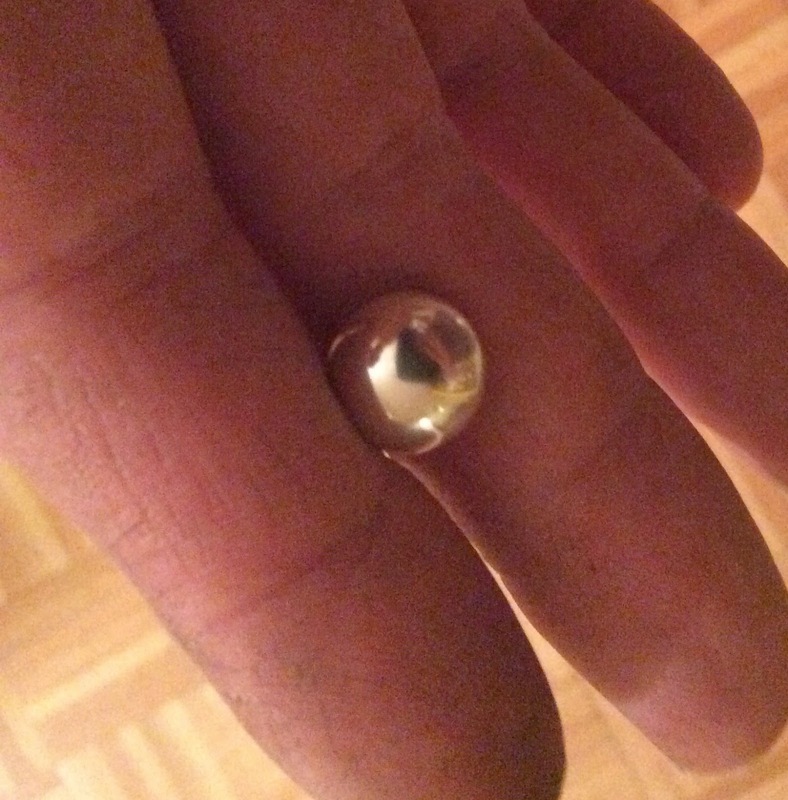 Knowing the benefits of the healing metals in treatment I knew their potential could be extraordinary. Silver is quite easy to bend especially in lighter gages, so I made the first two needles shown below quite heavy. 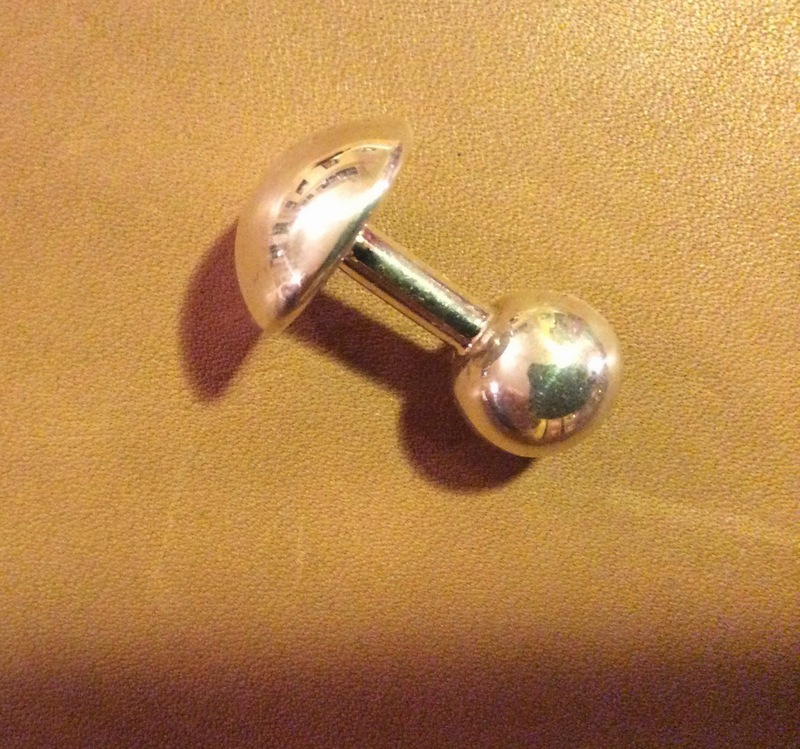 The two needles are approximately 18 gage, the lowest being 18k gold and the upper being silver. 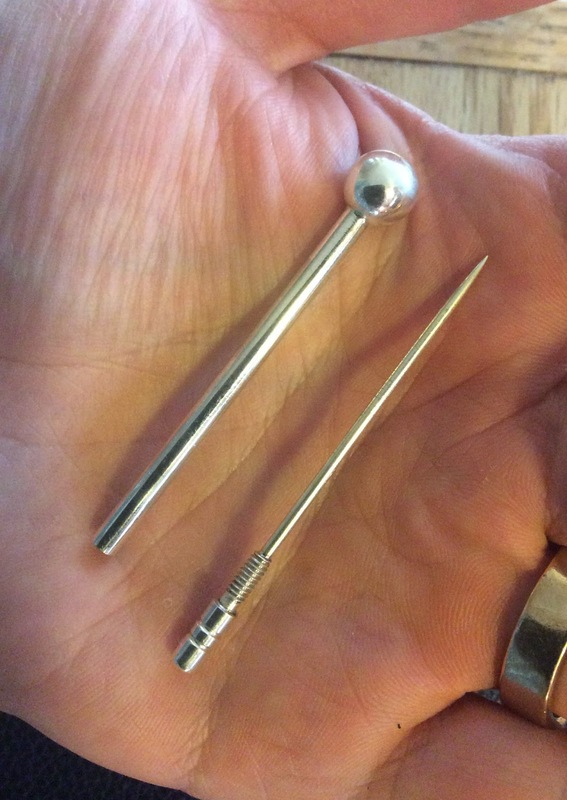 The picture is deceiving because they do not look heavy, but now consider that these two needles have a 3" shaft and you will realize that only someone trained in some type of sadomasochistic healing ritual would attempt to insert them. Well, he did and loved them, claiming benefits far superior to standard needles on the sciatic pain he was suffering from. Recently he ordered another dozen of 1.5" and 24 gage. 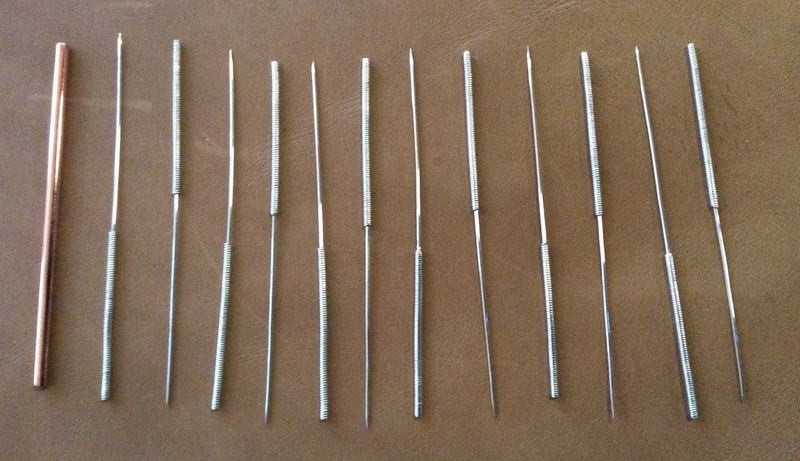 These needles are shown with their fine copper insertion tube. Unfortunately, making needles by hand is very labor intensive; each needle requiring almost as much time and attention as a teishin. Sharpening the wobbly tips is difficult and tedious. It is difficult to charge a price for them that is compensatory for the labor involved. I think it have talked myself out of the job. There are companies like Maeda that specialize in these types of needles and I think I will be sending most of my clients to them.